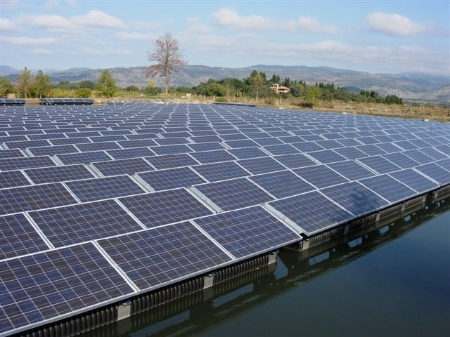 The Solar Corporation of India (SECI) has extended bids for a 150 MW floating solar tender in Uttar Pradesh; and for a 2 MW PV plant coupled with 1 MW of storage in Himachal Pradesh. India has installed less than 1 MW of floating PV, but the 10 GW target indicated by SECI has set the foundation for rapid growth. In September, SECI issued a tender for 150 MW of floating solar to be developed over the Rihand Dam in the Sonbhadra district of Uttar Pradesh. In total, three 50 MW grid connected projects are set to be developed. It has extended the date of bid submissions to October 25. To date, India has installed less than 1 MW of floating PV, but the 10 GW target indicated by SECI has set the foundation for rapid growth. Indeed, the potential of power generation from floating solar is mind-boggling for India, as the country is endowed with many large reservoirs. The states of Uttar Pradesh, Odisha, Madhya Pradesh, Karnataka, and Andhra Pradesh alone hold 79% of the major reservoirs. Read more about India’s solar floating potential in Uma Gupta’s print article, Testing the water, published in the September edition of pv magazine. In related news, SECI has extended the bid deadline for, and made amendments to, a 2 MW PV project coupled with 1 MW of energy storage, set to be installed in the state of Himachal Pradesh. The new deadline has also been set for October 25.